PAST FEMALES: Here we have Poella, Joella, and Boella. All equally adorable. SOLD: This is sweet Noella. 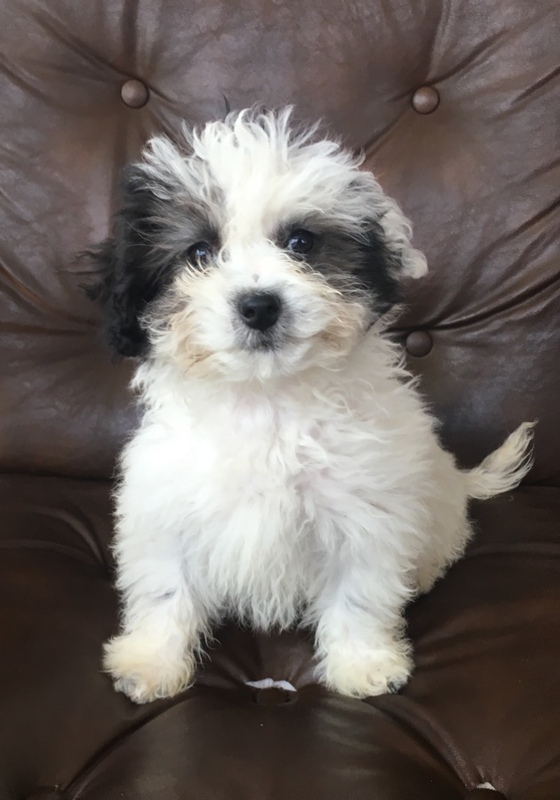 SOLD: This is our black and white parti female Havapoo. She is precious. 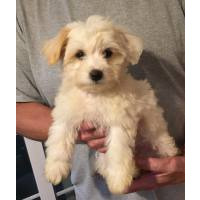 SOLD: Here is our female Havapoo with light apricot ears. Just precious! AVAILABLE: Here is Ramses, one of our black and white parti males. Very cute! 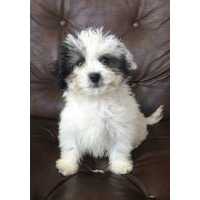 AVAILABLE: Here is Rudy, our black and white parti female. Adorably fluffy! Her mask is turning from black to gray. Very pretty! AVAILABLE: Here is Randolph, our other black and white parti male. Equally cute and cuddly! We have a litter of Havapoos that are 14 wks old and are ready for their new homes presently. 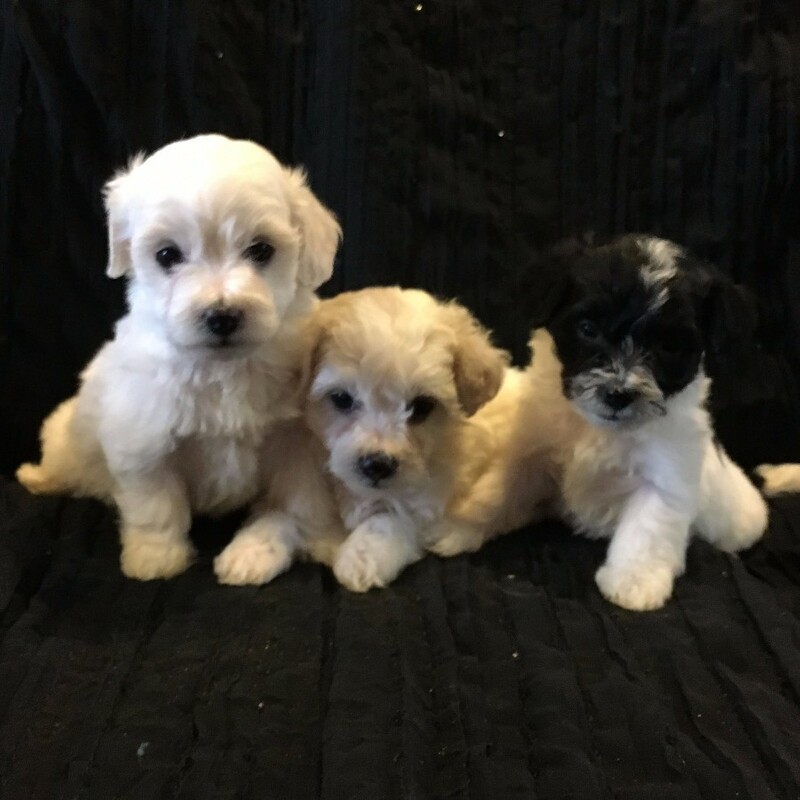 There are 3 puppies available, with 2 males and 1 female ( all black and white parti). We have posted new pictures today (April 15). All 3 of these puppies have great personalities, love to be held, love to play and love to be with their people! Please contact us about scheduling a visit or with any questions! Our puppies are raised in the house with our family. Around 3 weeks old we start to potty train them, and they are doing great by the time they go to their new homes. We give the puppies 2 rounds of dewormer and at least 1 puppy shot, depending when they leave us. 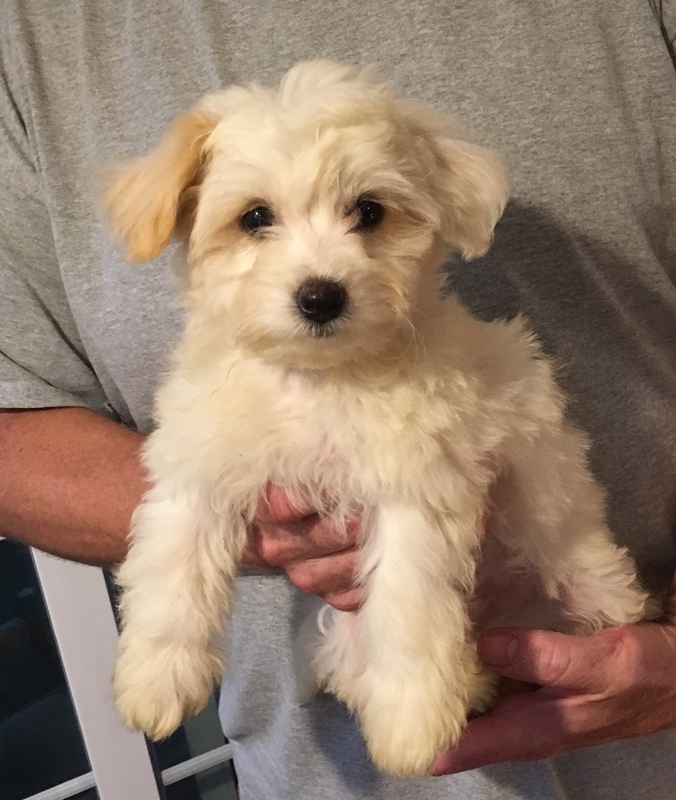 Havapoo puppies' tails are not docked and declaws are removed. 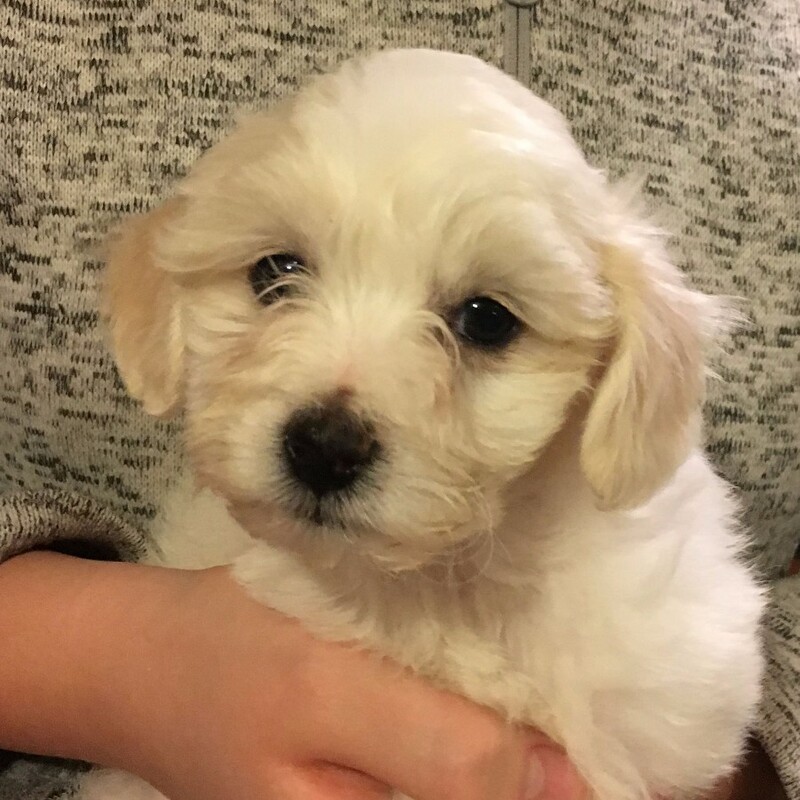 A deposit of $100 will hold a puppy for you and your family. We also offer a 6 month health guarantee. Thank you for your interest in our puppies! Please contact us with any questions. We will be glad to answer them!